Ysgol Crug Glas is a community special school for children with severe and complex or profound and multiple learning difficulties. At Crug Glas we are proud to be able to offer specialist teaching and resources to enable each pupil to achieve their maximum potential. We have excellent facilities which include: A Hydrotherapy Pool, a sensory room, Music Therapy sessions, soft playroom, and a specially equipped Art room. We work very closely with a range of other professionals who make regular visits to the school, this is to ensure we offer the best to both the children and their families. 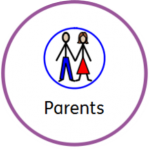 At Crug Glas we like to work in partnership with parents and carer’s and believe communication is the key to meet their specific needs. If you would like to visit Crug Glas I can guarantee a warm and friendly welcome will be waiting for you. We want to ensure that you have all the information you need about the school and what goes on in it. We have tried to put all relevant items together into a pack which we hope you will find convenient. You can also view the school terms and training days on this website too.